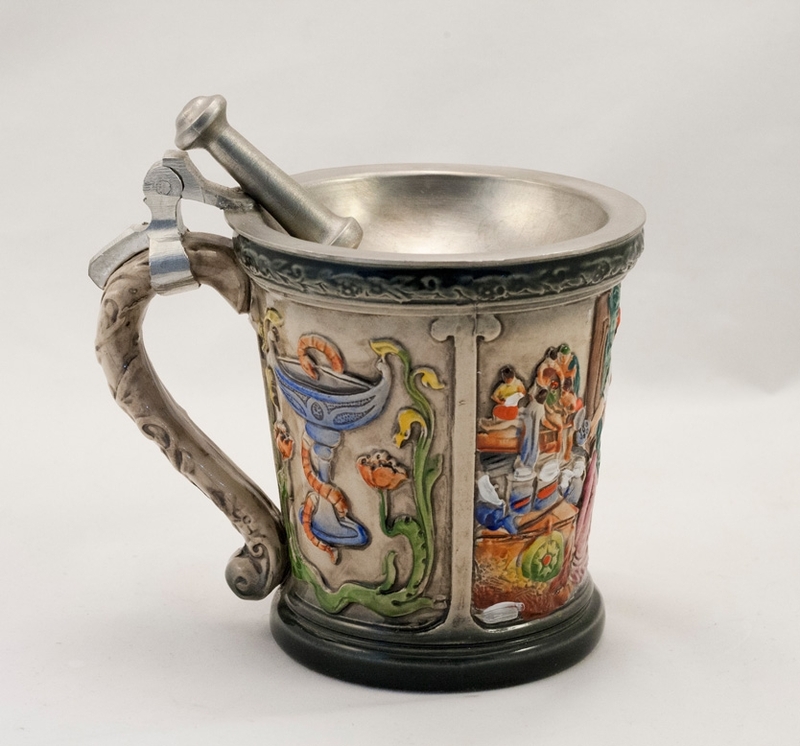 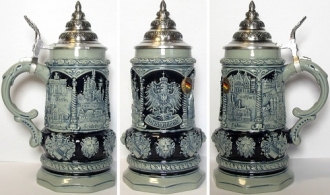 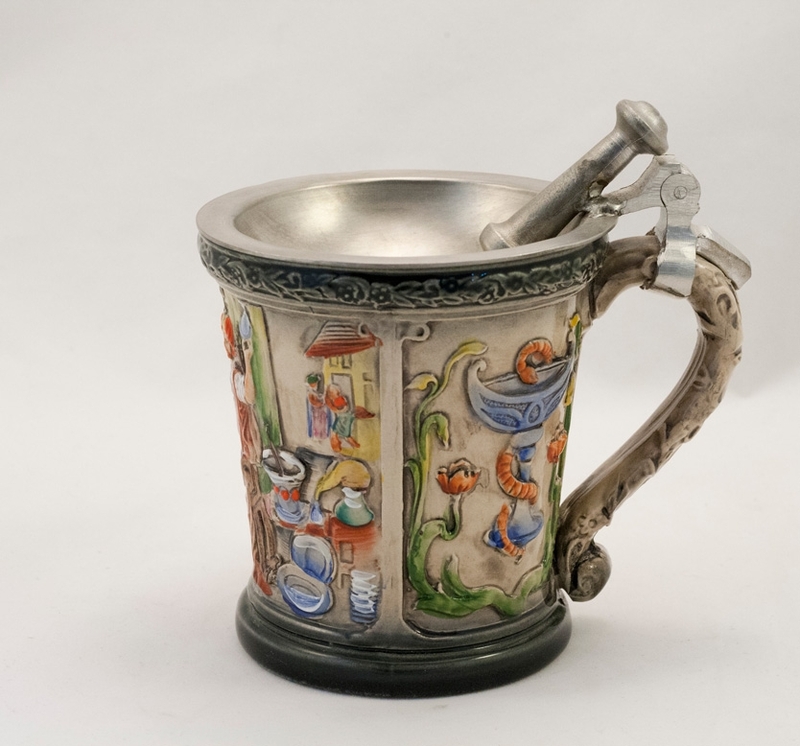 This stoneware, raised relief stein is a reproduction of an actual antique sculpture from the original German stein factory of Thewalt and Paulus. 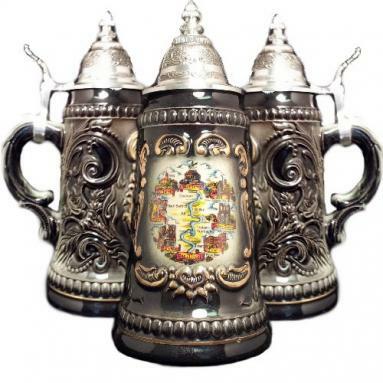 This stein features a rustic gray color combination. Vines comprise the handle and encircle the lip. 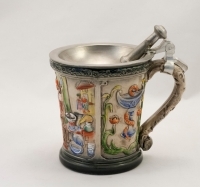 A representation of the caduceus pharmaceutical symbol (one snake entwined around a goblet) is framed on either side of the front scene. 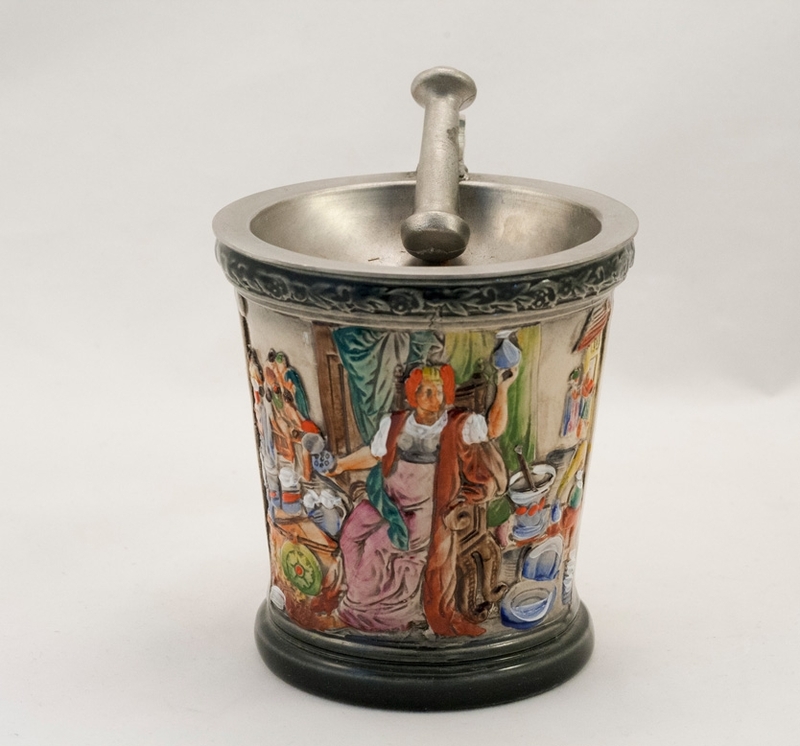 The unique, inverted pewter lid represents a mortar, while the thumb lift is a separately cast pestle. 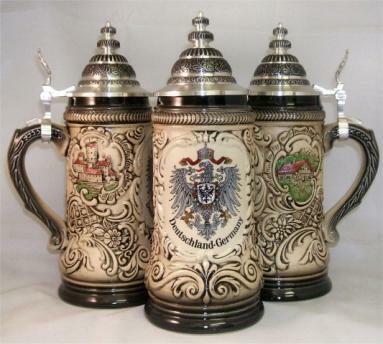 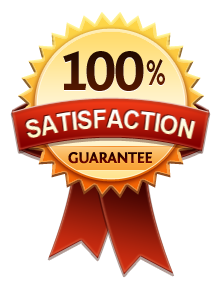 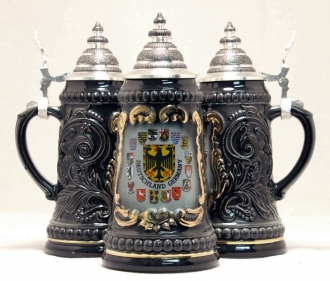 Each stein is registered and individually numbered.